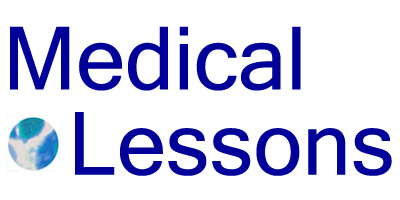 Medical Lessons – Why Should Physicians Blog or Use Twitter? Thanks for the mention. You raise some excellent points about social media which are relevant to all types of individuals and organizations, not just physicians. Social media is, as my former Public Relations professor called it, a tweener: it includes elements of marketing, PR, and communications. Sometimes we use social media to simply share ideas and experiences and other times we use it to create awareness and generate publicity for ourselves or others. Drs. Kevin Pho and Howard Luks demonstrate various ways physicians make effective use of social media for a variety of purposes. I agree with you that every physician may not have the time to blog; most organizations don’t have the resources or commitment to blog successfully. However, as Kevin Pho recently pointed out, physicians can tiptoe into social media by participating on a limited scale. Furthermore, I believe that physicians need to become comfortable with social media in order to understand the resources that are available to patients so that they can steer patients to reputable sources; especially important since credibility can be a problem in some online communities. That said I will take the initiative at my upcoming physical to mention my social media activity to my physician. I appreciate the mention… but I think it may not have been in proper context. If you read through many more of my posts you would have seen titles: Treat Patients as People, Treat Patients, not MRI Findings, Over-utilization, Our High-Tech Low Touch evolution in healthcare, etc. I am a fierce patient advocate. I believe they require as much meaningful, useful and actionable information as possible in order to make appropriately guided decisions when it comes to their health. To that end… my goal is to also engage physicians so they understand the value propositions for establishing a digital footprint. Many will do it for altruistic reasons alone, but we both know that many will need to see a monetary return. That is why I occasionally post on that subject matter as well. Again… I appreciate the mention… but I do believe there is a role for the other posts I put up if it gets a few physicians to consider posting meaningful content.